Have you heard? Glamour is back. 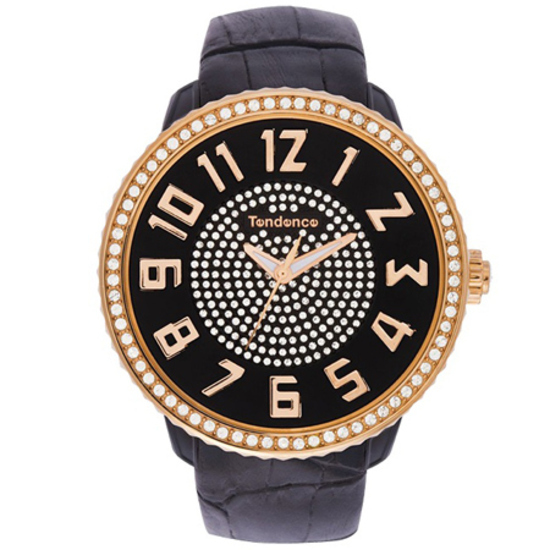 Introducing the Tendence Gulliver GLAM line, four eye catching oversized statement watches which are guaranteed to complete your look and adorn your wrist with an glittery flash of femininity and glamour. Forming part of the distinctive Gulliver line, the dial and bezel of each Gulliver Glam are covered with a blanket of sparkly Swarovski® elements which accentuate the deep tri-dimensional dial and numbers of the watch and stand out against each individual watch colour. Available in sensual purple or feminine pink with silver plating, as well as pure white and jet black which have contrasting IP gold plating on the bezel, each model is complemented by a sophisticated, attractive croco pattern leather strap which matches the base colour of the watch.